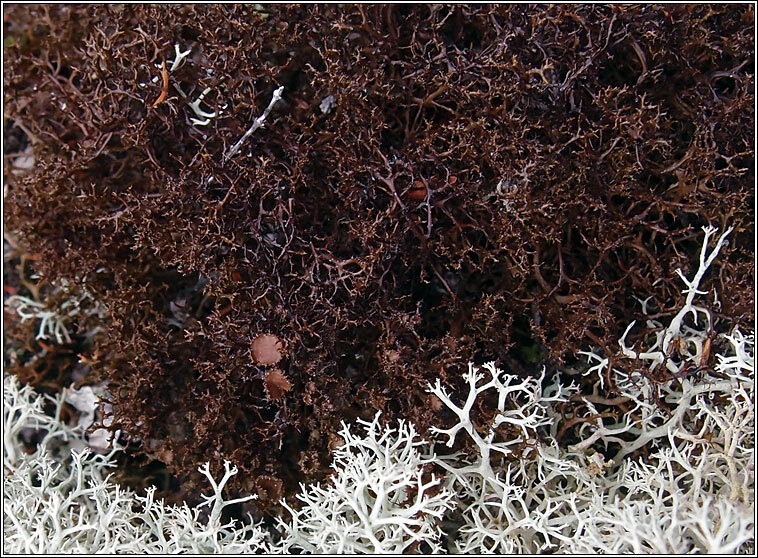 Forms dense, spiky mats on acid heaths, fallen tree trunks and occasionally on mossy rocks. 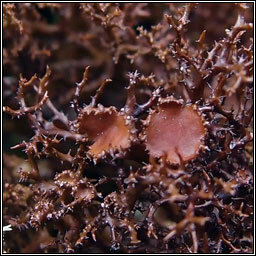 Similar to Cetraria aculeata but less frequent, darker brown in colour and smaller (1-3cm tall). 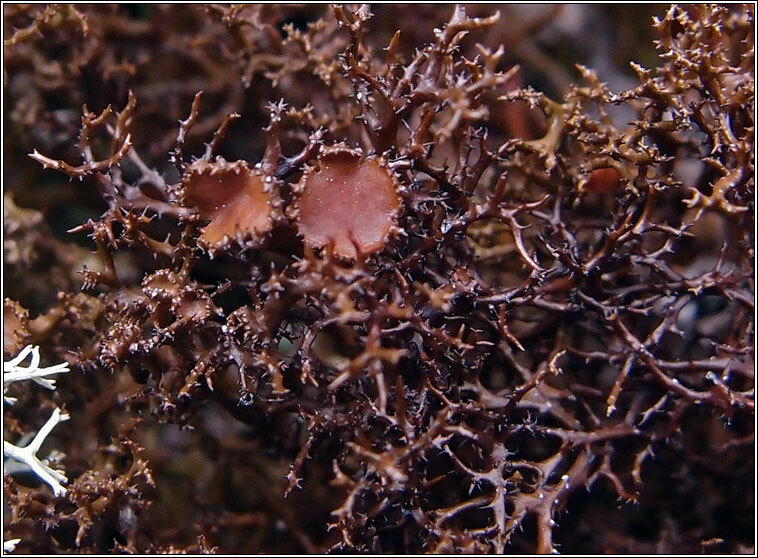 The delicate branches are more rounded with numerous small spinules and circular pseudocyphellae. Apothecia are infrequent.